COLOURPOP COSMETICS Creme Gel Colour Pots Review! Colourpop is one of my favourite affordable brands that provide quality and so much satisfaction. Recently Colourpop has released a new range of creme gel pots and liners of both matte and metallic finishes. 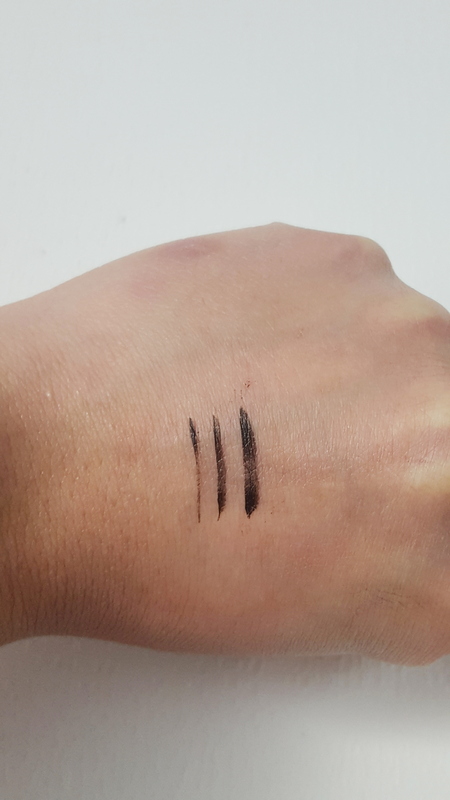 I absolutely loved the very wide colour range that was provided and just had to grab my hands on some of the gel liners – because I don’t particularly use pencil liners very often. Here is my review on the Creme Gel Colour Pots! I have a warm place in my heart for this product. It was my first makeup item that I had bought. I was just starting out with makeup and was so overwhelmed by the number of products on the shelf. 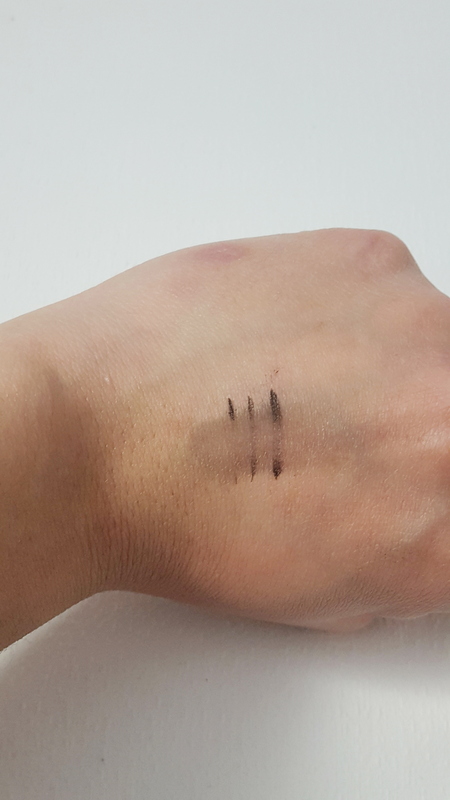 So I opted for the hardest and most unforgiving product to use – the liquid liner. After using it for many years, I now know how to use liquid liners and gotta say, this liner has done a good job. Not the best on the market, but the best liquid liner in the drugstore, I’ve ever tried! I will pick up the new ‘Hypersharp Wing Liquid Liner’ by Maybelline soon to see how it compares. This liner retails for $14.95 AUD at Priceline, but I suggest to wait for the sales to happen. I got mine at $8.97 (40% off) and bought backups as well. You can buy this anywhere that has a Maybelline section. I don’t agree with all of these claims but it still has a lot of pros to it. The packaging is fairly simple and very comfortable to hold. It’s in a pen-like form with a brush-tip, with ink liquid fed through it, very much like a calligraphy pen. But I wish the cap could click on the back of the pen. I find that if that extra weight was there, I would have better control over drawing my line. But this is just my preference. Over time, if you use this as frequently as I have, the plastic exterior becomes very faded and no longer has its glossy/shiny paint and the printing starts to wear away and it becomes hard to know what product you have in your hand without opening the cap. The packaging looks tired and worn out, which does not look appealing. The tip of the brush is incredibly flexible! And I love it! 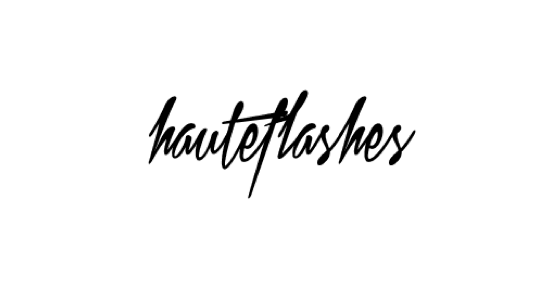 It allows you to get right into the lashline and you use easily get between the lashes with ease. It also allows you to control over how thick your line can be. The more pressure you put on it, the thicker the line becomes, as the brush bends accordingly to the position of your hand. Another thing great about this product is how sharp of a wing you can create with it! It has a 0.05mm tip, which happens to be its selling factor. It is amazing! I have never made a sharp wing without having to use concealer to crisp up the edges. And I love a good sharp wing. Makes me look like I know what I’m doing on my face. I absolutely love this product. It’s easy to use, glides across the skin very smoothly and has a great consistency in its formula. However, the formula does not remain this way over time. This eyeliner particularly dries out very fast and I find myself using this for no longer than a 2-3 weeks tops if I frequently use this. I literally went through these liners like water! Even though, it may seem cheap to buy, over time, the prices add up and some may opt for a longer-lasting eyeliner. I even bought a backup for the backup. But for me, I don’t wear eyeliner everyday anymore, so this doesn’t bother as much as it did before. The formula also dries relatively fast, so you don’t have to worry about it transferring to the tops of your lids if you have hooded eyelids like I do. Once it sets, it will stay. However the claims states that it is easily removal. This can be both a good thing and a bad thing. Yes, it is very easy to remove with a cleanser or makeup remover. But honestly, if I used some water, and gently rubbed it off, it would also come off as well, as demonstrated below. So if I happened to accidentally rub my eye, or touch it slightly, it may or may not come off, depending on the amount of pressure you rubbed. But if you’re like me, and subconsciously always know you have makeup on, this won’t be a problem. Though when you happen to get a few drops of water on it, it would mostly stay in place if there is no pressure and you quickly drab the liquid off it. So it is relatively water-proof. As you can see below, it just slightly faded. Nothing dramatic. As you can see from the images, it doesn’t give you the blackest line at first application, but it doesn’t take anymore than an extra stroke to give you that. I normally over line my lines to make sure my line is straight anyways. No harm there. 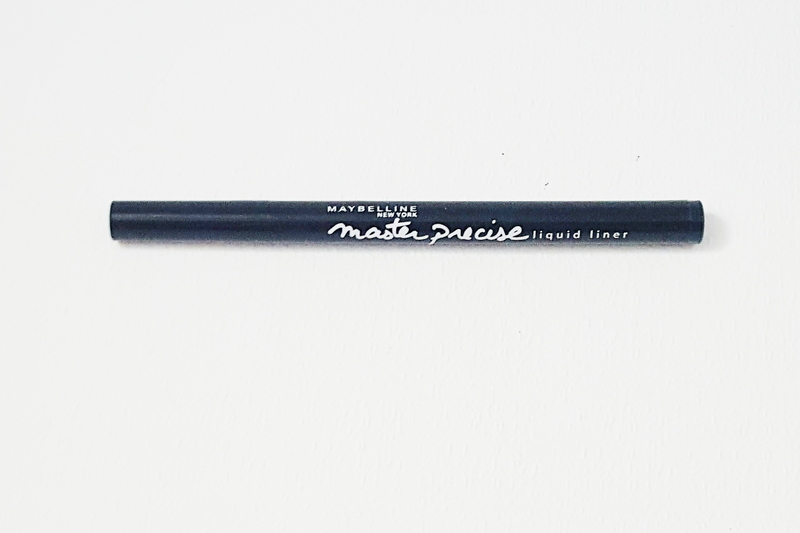 Overall, I think this is a great product, especially for those wanting to try liquid liners for the first time. It is a great product to start out with. 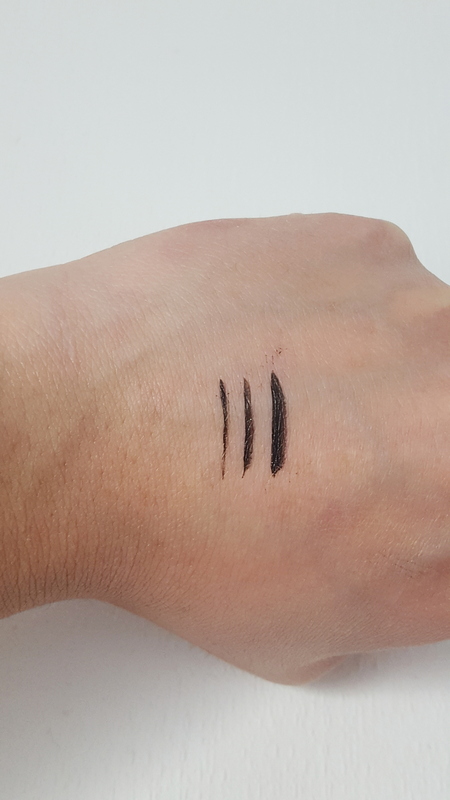 It is actually quite forgiving in comparison to most liquid liners out there. It’s a product to use everyday, if you don’t mind re-buying it every time it dries out. I love how much control I have in drawing my lines. Highly recommend this product as a drugstore alternative!